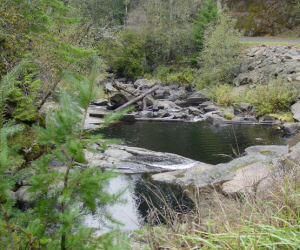 The Umpqua Soil & Water Conservation District was formed in 1953. The Umpqua Soil & Water Conservation District is an equal opportunity employer, providing services to the public without regard to race, color, national origin, gender, religion, age, disability, political beliefs, sexual orientation, and marital or family status. The Umpqua Soil & Water Conservation District is governed by a seven member Board of Directors elected in the general election that serve without pay to administer District activities. Our district's boundaries enclose over 600,000 acres of Northwestern Douglas County including the communities of Reedsport, Winchester Bay, Gardiner, Elkton, Kellogg, Ash Valley, Smith River, Scottsburg and Tahkenitch Lake. Click for a map of the District. Available in print format from the district office.